As students we’ve all taken an Uber to get to one place or another. Whether we are running late to class, going to work, or partying downtown, it’s become the go-to mode of transportation when we can’t rely on the TTC. However, many of us, especially us women, have felt uncomfortable in an Uber. Ubering as a woman means experiencing awkward small-talk, intrusive questions, and occasional glares from the rear-view mirror. Fortunately, ride-sharing has now taken a step in the feminist direction. With the launch of DriveHer, this ride-sharing app aims to make women feel safer as they travel within the city. With a slogan that reads, “For Women, By Women,” DriveHer only allows female passengers and employs only women as drivers. The app will also provide more jobs for women, as taxi services have been dominated and regulated by males for as long as they’ve been around. DriveHer also connects with shelters to provide free transportation to women who are fleeing domestic violence. The company also indicates on its website that it will be sharing some of its profits with women-centred charities and services. 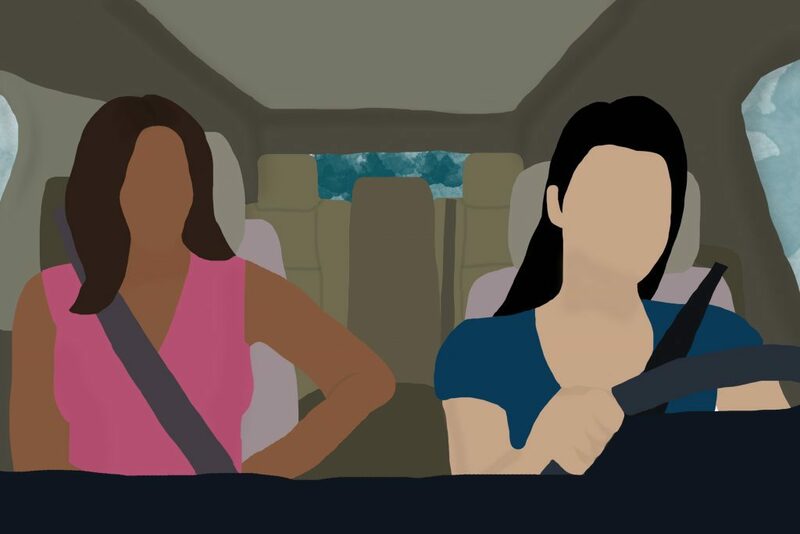 DriveHer is breaking the stereotypes surrounding women by putting them behind the wheel. It also gives female passengers a real sense of safety and security when they sit in the back seat. DriveHer is pushing us to be more critical of services that are marketed to serve everybody but actually marginalize women. Most of all, DriveHer has reframed safety as an absolute right, rather than a situational right. Depending on who you are, you may think that DriveHer is unnecessary and that Uber is just as safe. But the truth is that Uber isn’t safe for everyone. Being alone in a car with a man you don’t know can make women feel unsafe. For many reasons, DriveHer is an important advancement that should be shared and acknowledged widely. Ryerson faculty and students should be spreading awareness regarding this app, as it can be used as a safer alternative for women. Female students should be aware that they are receiving support. Even simply suggesting to female friends and students to download this app can go a long way. Using this app to support each other will make society a much safer place for women. To all the women who have chosen to be dropped off a few blocks from their home on a late night, been uncomfortable taking an Uber alone or have rung the doorbell even though they have the keys in their hand, DriveHer is here to change that. It’s safe, inclusive, empowering, and affordable. It’s like the sisterhood we never knew we needed.